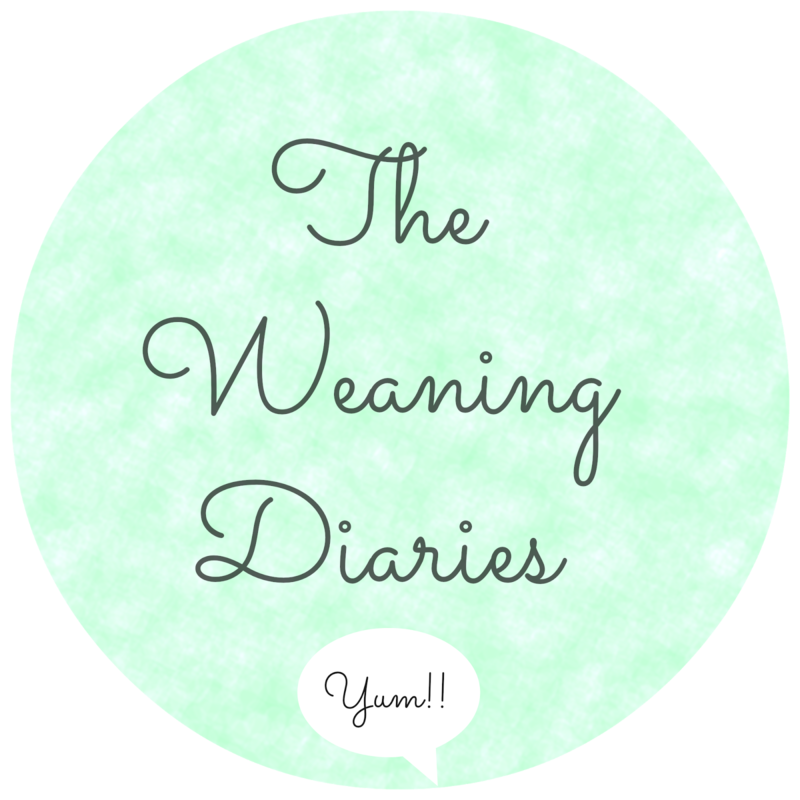 We officially started the weaning (or introduction to solid food as it is known these days!) process a couple weekends ago. Isla is not quite the recommended 6 months old yet but she's pretty close at 5 and a half months. To be honest we did well to last this long! She has been hungry baby since day one and I'm pretty sure we could have started last month, I just took ages to choose a highchair, then it took ages to come! I picked up an Annabel Karmel weaning book at an NCT Nearly New Sale and it's become my bible. There are so many fab recipes and tips and I'm excited to get onto the more interesting recipes in the months to come. So first of all we started on baby rice and it went down a treat. So much so that I had to make up another portion for her. 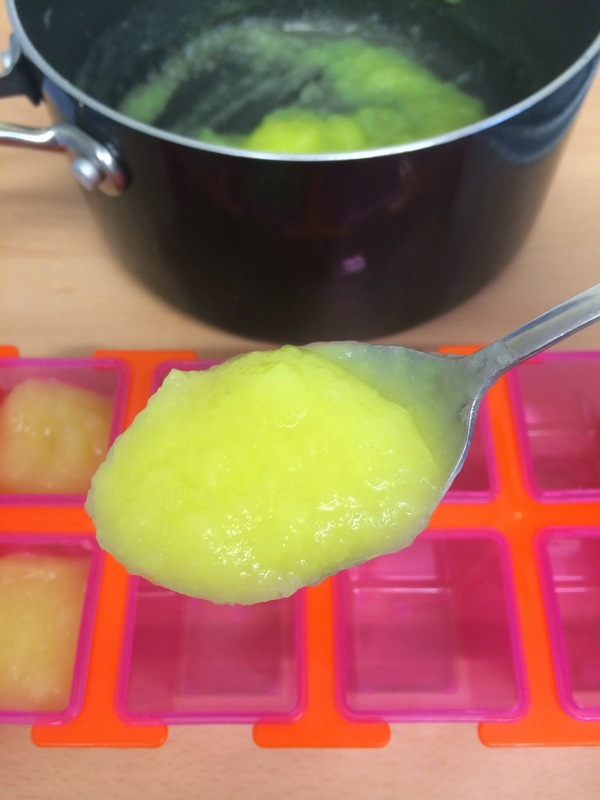 I made a big batch of carrot puree and sweet potato puree and froze lots of little portions. 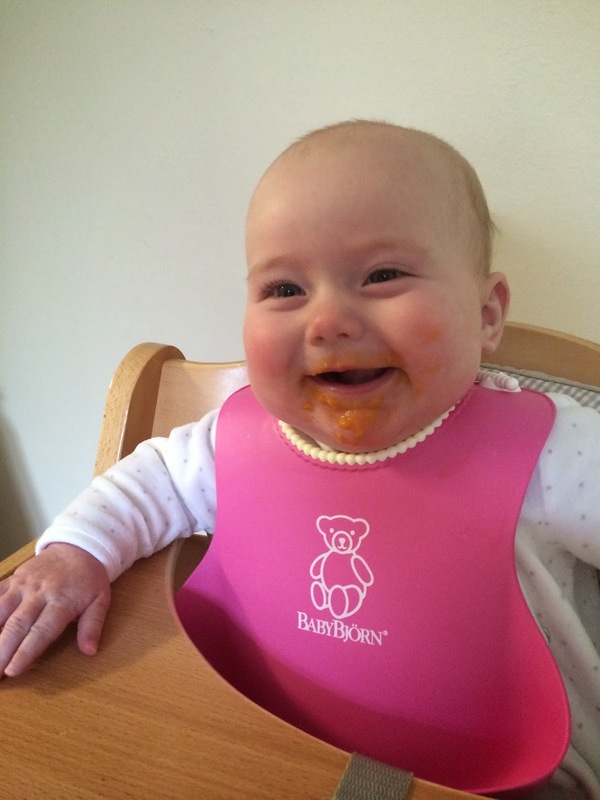 We tried her with the carrot puree first and her first reaction was hilarious. We took lots of photos and videoed it, which features on a vlog I'm working on this weekend. I try to mix up the purees she's having from day to day to keep introducing her to new flavours and keep it exciting for her. As you can see Isla has not dropped a bottle yet. I was rooting for the 5.30-6am bottle to be dropped but alas it's not to be at this stage! I hide the pot of food from her whilst I'm feeding her, because it proves to be too much of a distraction, and after I've finished feeding her I give her the spoon and the pot to practice with, which she loves. So all in all the first tastes have been a big success - happy days! We've also managed to feed her in different locations with no bother at all. At baby groups (just breakfast), at restaurants and at other people's houses so that's good. 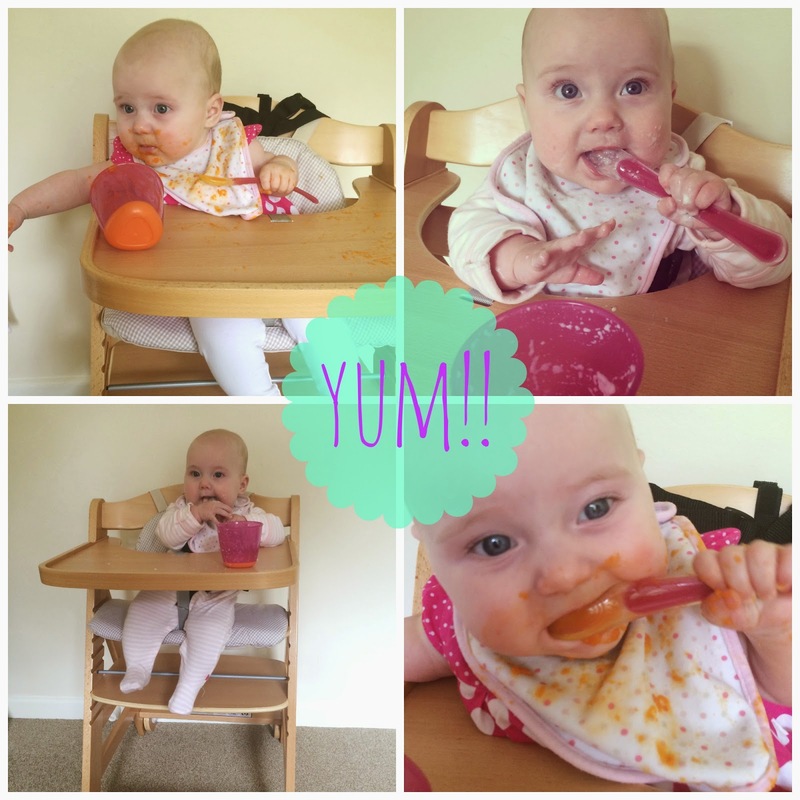 When she's at home she's always in her Hauck Beta+ highchair at the dining table for her meals. I think it's good for them to associate a certain place with meal times. Helps to stop the distractions a little! I thought I'd be more scared of the whole weaning process but I'm absolutely loving it so far. It's so fascinating watching their reactions. What foods did you introduce to your little ones first? Did you find it fun? !